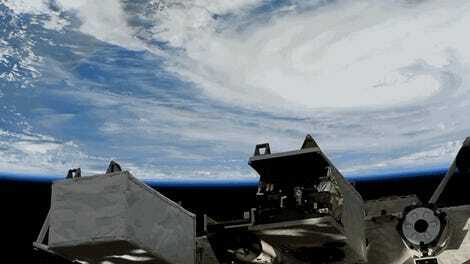 Hurricane Harvey, as seen from low-Earth orbit. 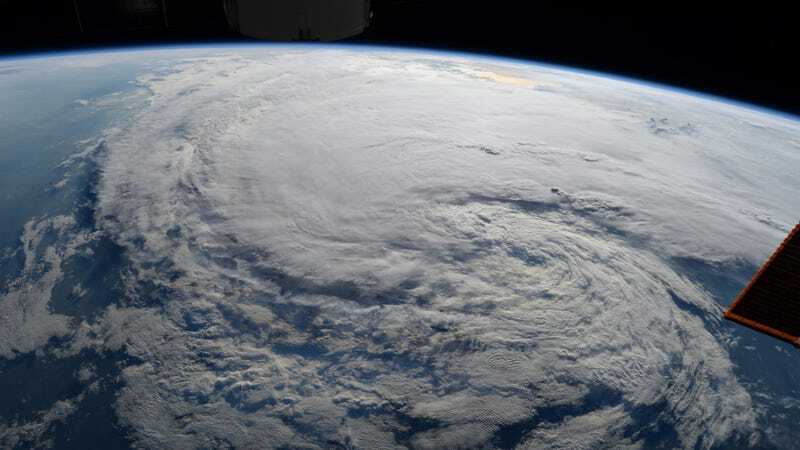 The reason for the global slowdown, says Kossin, may have something to do with changes to the steering winds that regulate the direction and speed of tropical storms. He fears that global warming is changing—and weakening—the way air circulates within the atmosphere, an effect that many other studies have found. 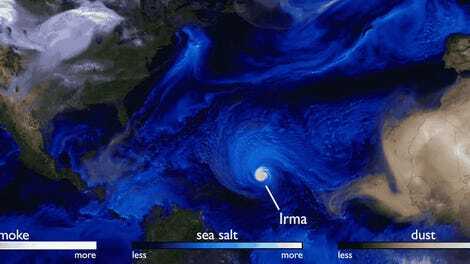 Climate change is already considered a factor for increasing the severity of the strongest tropical cyclones, and a warming world is also leading to greater rates of precipitation. There’s now added potential for a double-whammy effect with the arrival of slower tropical storms. In other words, the new study is producing an alarming result, and global warming may very well account for the apparent cyclone slowdown, but more research is needed, both for figuring out if this is part of a larger trend, and to determine if and how climate change is contributing to this phenomenon. In the meantime, it would be wise for federal and local governments to invest in storm preparation and hurricane- and flood-resistant architecture.